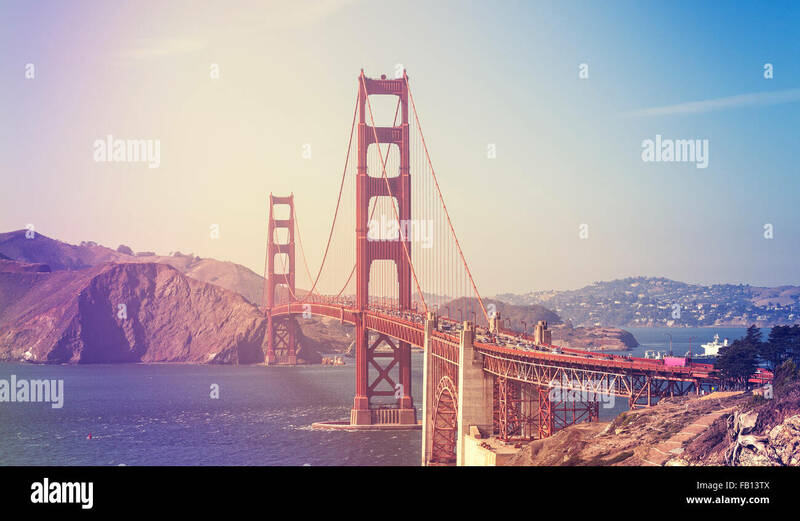 Retro stylized picture of the Golden Gate Bridge in San Francisco, USA. Retro stylized Golden Gate Bridge in San Francisco, USA. 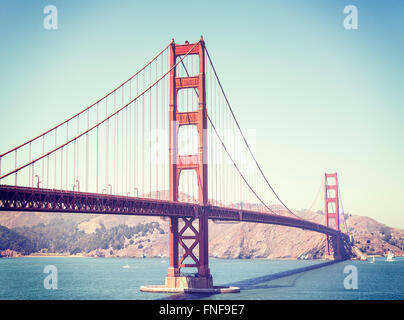 Old film retro stylized Golden Gate Bridge in San Francisco, USA.